Bomanite Chemical Stains are water and acid solutions of metallic salts formulated to “color etch” new or existing concrete surfaces. These penetrating solutions react with cements to form permanent, insoluble precipitants of varying colors. Bomanite Chemical Stains are intended for use on horizontal concrete and other masonry mediums. Rather than a single finish, as a color hardened surface provides, Bomanite Chemical Stains produce a mottling of color tones that are directly affected by the substrate. Variations and inconsistencies in color are expected and are usually the reason for using this coloring technique. On new projects, concrete may also be colored using Bomanite Color Hardener or Bomanite Integral Color, which will further expand the Bomanite Chemical Stain palette. 200 to 400 square feet per gallon per coat. 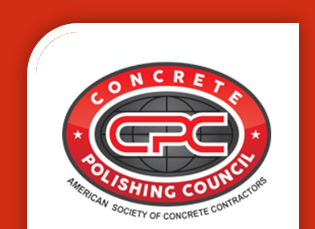 Coverage rates vary depending on the type of finish and age of concrete. Allow one week for 55 gallon units. Approximately one year. Keep at a 40 degree Fahrenheit minimum. All installations should be professionally cleaned and resealed periodically by your local Bomanite contractor in order to maintain a top quality appearance. In general, expect the need for professional maintenance to occur every 12-24 months. This will vary depending on a number of factors including volume and intensity of traffic, UV exposure, geographical location and weather conditions. For instance, interior applications will require a different maintenance program than exterior products. Residential applications typically require less professional cleaning and maintenance than commercial and municipal projects. Bomanite Chemical Stains will produce a wide range of finished colors depending on many factors including, but not limited to, finishing techniques, mix designs, curing practices, age and condition of concrete in existing slabs, base color and surface porosity. There is an element of uncertainty and unpredictability inherent in the use and final appearance of chemical stains. Therefore it is strongly recommended that samples be created, viewed and approved using construction techniques and materials identical to those that will be used in the actual construction of the project. This sampling process must be completed prior to specifying the final color and appearance. Keep out of the reach of children. For commercial use only. Do not take internally. See Material Safety Data Sheets for complete information.